The Taos Eco Park is a world class facility that is truly unique given its high altitude location. 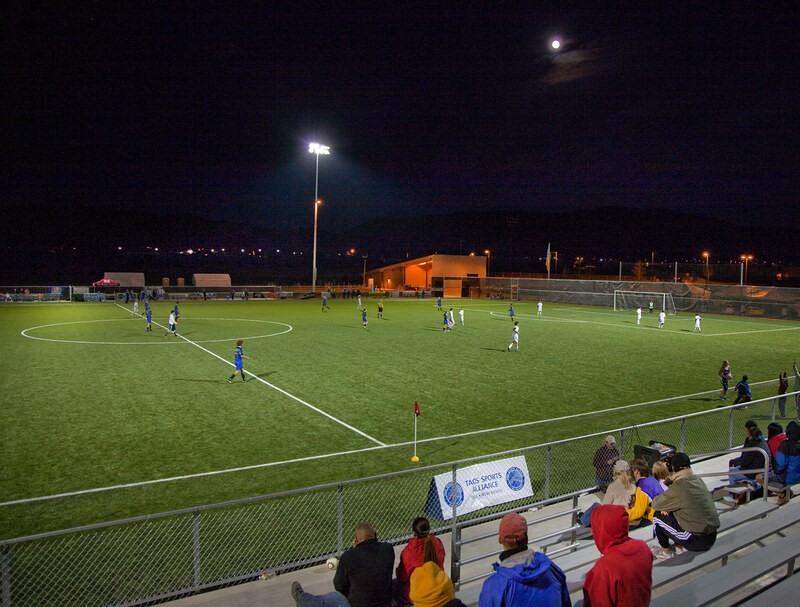 Our players raved about the quality of the pitch, and they enjoyed playing in front of a community that clearly appreciates high level soccer. We feel honored to have been able to participate in such a fantastic event. We are sincerely grateful for all the support we were given by the Taos Sports Alliance. We are excited to return to Taos in the very near future! The highlight of our 2012 Spring Season was taking a road trip to Taos. For most of the team it was the first time to the town of Taos and the players were excited to play at Taos Echo Park. To be able to play a quality game on a quality surface with a good size local crowd watching the game made it a perfect environment for a D-1 college game. We thoroughly enjoyed our experience playing at a top notch facility and look forward to getting an invite to play again next year. 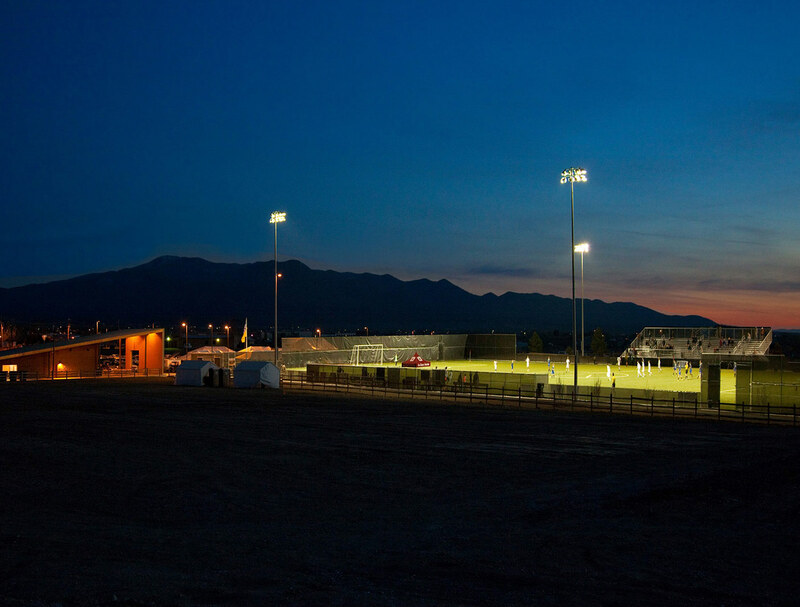 Thanks to everyone who made it possible and for those of you who had the vision to build a first class soccer facility. Taos Eco Park is an incredible facility and setting for top level soccer. The playing surface is world class and the surrounding views are unmatched. Our players can’t wait for our next match in Taos. The community support of soccer is tremendous and the fans are knowledgeable and appreciative. I recently had a chance to see two matches in the stadium at Taos Eco Park and came away from the experience quite pleased with the setting for high level soccer: the pitch is expansive and boasts a state-of-the-art artificial playing surface; the intimate stadium framed by the mountains provides a great atmosphere for fans and players alike; and the crisp but sunny weather combined with the 7,000-foot altitude of the New Mexico “high desert” ensures ideal training conditions. And it doesn’t hurt that Taos is a fantastic and historic place to visit with plenty of things to do and see.